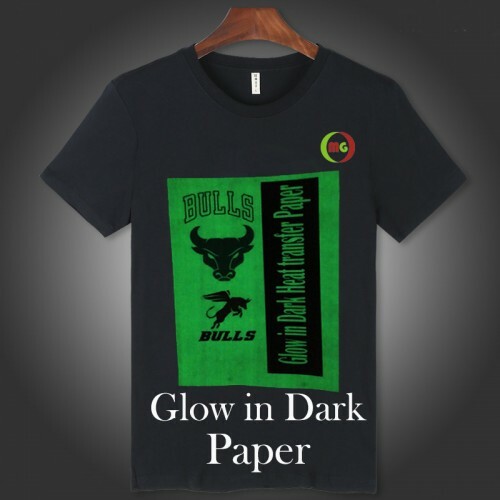 Glow-in-Dark Inkjet heat transfer paper 8.5x11"
There are 13 sheets in stock ! 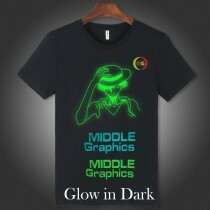 Get your glow on with our glow in the dark heat transfer paper! 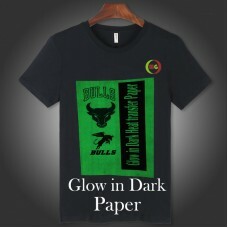 Images will glow bright and vividly in the dark when this paper is applied to any fabric and exposed to light. It's perfect for making spooky shirts! eave finished item for at least 24 hours before washing. peel off backing paper, pint face up and cover release paper at an angle of 180° with 10 seconds of warm and then tear off the release paper. This Coos's Glow in the dark in Lime Green / Blue Colors heat transfer vinyl film is phosphorescent..